The Zimbabwe Electoral Commission (ZEC) says it is taking threats against its staff seriously and has since made reports to the police to ensure their security. ZEC deputy chair Commissioner Emmanuel Magade revealed this during a briefing with election observers in Harare yesterday. This follows pressure and acts of intimidation against ZEC staff and property by opposition political parties demanding so-called electoral reforms, some of which have been described by ZEC chairwoman Justice Priscilla Chigumba as illegal. The main opposition MDC-Alliance, which held a demonstration on Wednesday and petitioned ZEC with electoral demands, has been at the forefront of denouncing the elections body, with party officials and supporters making threats against seniorg ZEC officials, including Justice Chigumba. 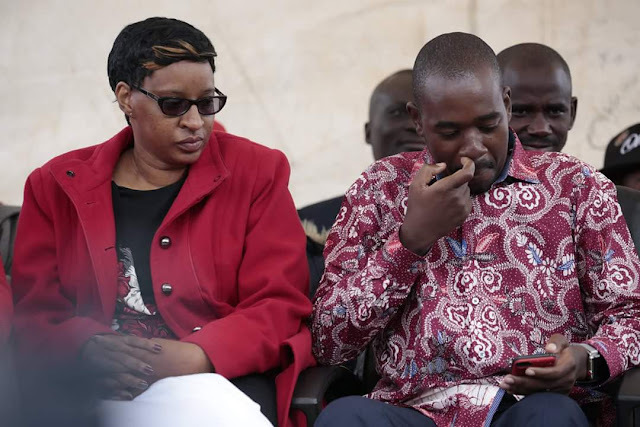 MDC-Alliance leaders, including its presidential candidate Nelson Chamisa, stormed ZEC offices in downtown Harare on Wednesday and demanded to see Justice Chigumba and other senior officials, failure of which Mr Chamisa threatened to order a mob into the premises. Another official was captured on video threatening to hunt down ZEC officials from their homes and harm them. “I can confirm that such threats have been issued,” said Commissioner Magade.